Bronze Gothic Handles. Supplied in all door handle variations. The Gothic Lever is part of the Gothic range by From The Anvil. 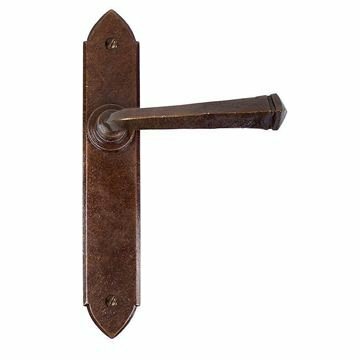 Coated with a permanent bronze finish, this handle will always be looking it's best for many years. The Gothic range is very reminiscent of Gothic architecture. 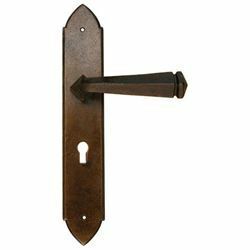 With the 'pointed arch' on the top and bottom of the backplate and the handle, turned to be seen at an angle, notched and pointed make this handle a perfect option for any front door.